Welcome to our Civil War Farm! 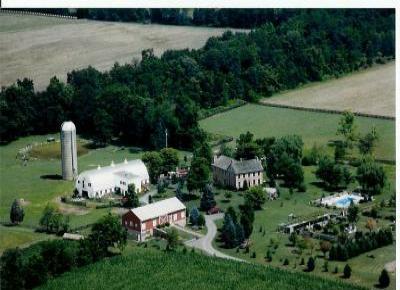 We have two different facilities at our Civil War Farm. A restored 1810 Barn that has two separate bedrooms, both with queen size beds. decorated with Fine Antiques with comfortable areas to relax. House overlooks Little Round top at the Battlefield. Nov-Apr .. $325/night/facility (2 night minimum) .. $2000/week/facility. May-Oct .. $400/night/facility (2 night minimum) .. $2500/week/facility. couches or floor. No pets are allowed in either of our facilities. *Until confirmed, rates are subject to change without notice.